We are here to help you with Life Insurance Approval with Glomerulonephritis! Finding an affordable life insurance policy with Focal Glomeruloneprhritis can be quite the challenge. Can People Who Have Focal Glomeruloneprhritis Be Approved for Life Insurance? Yes, most individuals with Focal Glomeruloneprhritis will be able to qualify for traditional life insurance, the type of insurance which requires a medical exam. Best Case Scenario – The best case scenario for Focal Glomeruloneprhritis is an acute case with full recovery and no permanent renal damage. These cases are usually given a “Standard” rating. Click here for quote at “Standard”. Moderate Case – Those cases that did not fully recover from an acute Focal Glomeruloneprhritis and resulted to a chronic disease may still qualify for a “Mild Substandard” or “Medium Substandard” rating. 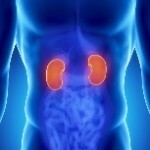 The renal function test must be determined through the glomerular filtration rate (GFR). A normal person can function with a minimum of 20% GFR, therefore, the higher the GFR, the better the rating. Click here for a quote at “Mild Substandard” or “Medium Substandard”. Severe Case – Those chronic cases with less than 20% GFR are considered with poor renal function, and therefore, will automatically be declined. How many years have you been diagnosed with Focal Glomeruloneprhritis? Focal Glomeruloneprhritis is a progressing condition that needs good control and management to delay complications of kidney failure. However, since it is a non-reversible condition, longevity increases the probability of complications like renal infection and nephrotic syndrome. The longer the condition the higher the rating or in severe cases may get a decline. Symptoms such as foamy urine, generalized swelling, weight gain and poor appetite may be flare signs of an acute attack, which may get you a higher rating. Regular visits to your doctor will ensure control of the condition and slowed progression of kidney damage. Life insurance companies see this as a good sign and may get you a good rating. Recent laboratory exam to confirm your GFR, and diagnostic tests like kidney ultrasound are the best way to assess your actual condition. This may also confirm your compliance with your physician’s management. Focal Glomeruloneprhritis, also known as Focal Segmental Glomerulosclerosis (FSGS) is a condition characterized by a specific renal injury, whether acute or chronic in nature. The renal injury of FSGS is characterized by segmental glomerular scars. 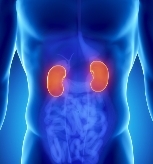 The common causes of FSGS include reflux nephropathy, HIV, heroin abuse and Alport syndrome. The initial sign that rules out Focal Glomeruloneprhritis is the presence of protein in the urine (protenuria). Other signs include foamy urine, generalized swelling, weight gain and poor appetite. One of the complications of Focal Glomeruloneprhritis is nephrotic syndrome with signs and symptoms including hypoalbuminemia, proteinuria, hyperlipidemia, and generalized edema (anazarca).